In the frame of FITUR 2017, Grupo Julià will present the card iVenture Card Spain, the first City Pass that groups together activities and tourist experiences in the entire Spanish territory. The card, which will start to be commercialized in February, will be added to the destinations that Grupo Julià already operates in Barcelona, Madrid, Andalusia, London, San Francisco, Mexico and Dubai. The card groups together a big selection of tourist experiences and different leisure and cultural activities and offers the possibility to the visitors to choose the attractions which better adjust to their travel plan. To be more precise, it includes the entry to more than 100 museums, monuments and iconic points in more than 10 cities in Spain, between which stand out, in Barcelona, Sagrada Familia, Camp Nou or the excursion to Montserrat, in Madrid, the visit to the stadiums Real Madrid and Atletico Madrid, the entry to the museums Prado and Thyssen or the Toledo tour, and in Andalusia, the visit to the Cordoba Mosque, the guided tour to Sevilla Cathedral or the Alhambra tour in Granada, and many more attractions. The card also includes different restaurant options, as well as different services of tourist bus and train which Grupo Julià operates in Spain. With an investment of more than 2 million euros, Grupo Julià expects to reach 20.000 users in the first year of operation of iVenture Card Spain functioning and 100.000 visitors in the first three years. 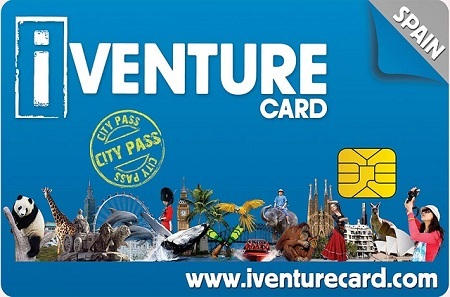 iVenture Card Spain sums up to the destinations which already operates in Spain, as Barcelona, Madrid or Andalusia. Las year, this three destinations overcame the 10.000 users and the joint forecast is to reach the 20.000 visitors in 2017. Grupo Julià also operated iVenture Card on international level in London since 2014 and Dubai, Mexico and San Francisco since mid-2016. In fact, the company contemplates an ambitious strategy of international expansion with the card and already has foreseen the implementation of new destinations in the next years.